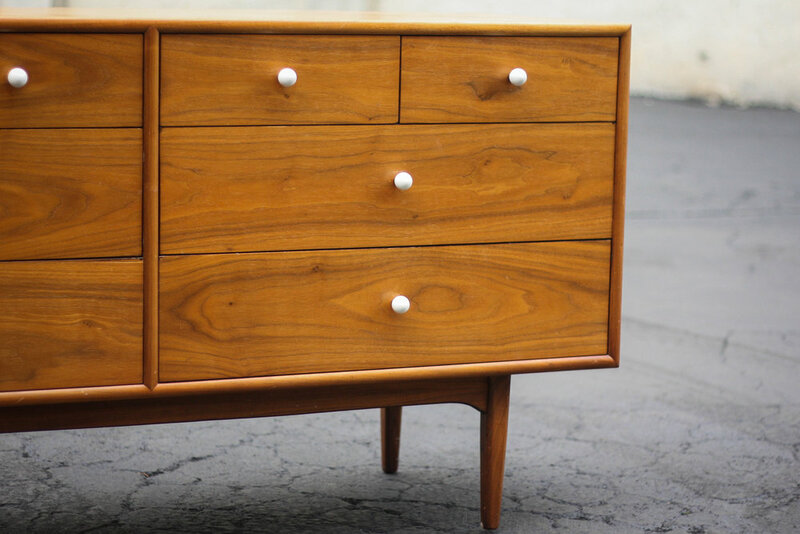 This 8 drawer Drexel Declaration lowboy will be the belle of the ball, or at least you bedroom. The stunning walnut wood grain and the porcelain drawer pulls make this more than just a piece of furniture, but a piece of art. Condition: Excellent condition with minimal signs of use.